Many of us remember that iconic photograph of a tiny seahorse clutching tightly to a plastic cotton bud as a defining image of 2017. Indeed, this photograph, taken by Justin Hofman, was one of the finalists for The Natural History Museum Wildlife Photographer of the Year. More and more of us are becoming aware of the issues facing our oceans, including plastic pollution which includes cotton buds. The plastic stems of these cotton buds are frequently to be found in the top ten types of litter seen on UK beaches. Now, the Scottish government have announced their plans to ban both the manufacture and sale of cotton buds which contain plastic stems. It’s suggested that this bold move could reduce the amount of plastic debris on Scotland’s shores by 50 percent. One of the issues with this type of plastic waste ended up in our seas and on our beaches is that many people still think that it’s okay to flush them down the toilet – which of course it is not! Most sewage treatment works use a standard mesh size of 3mm to screen waste that has entered the sewage system. Unfortunately, with a diameter of only 2mm, the majority of cotton bud stems can easily slip through this net, so to speak. Many environmentally conscious manufacturers have switched to stems that are instead made of paper or other biodegradable materials, which means that if they do end up being flushed into the sewage system they will break down reasonably quickly. 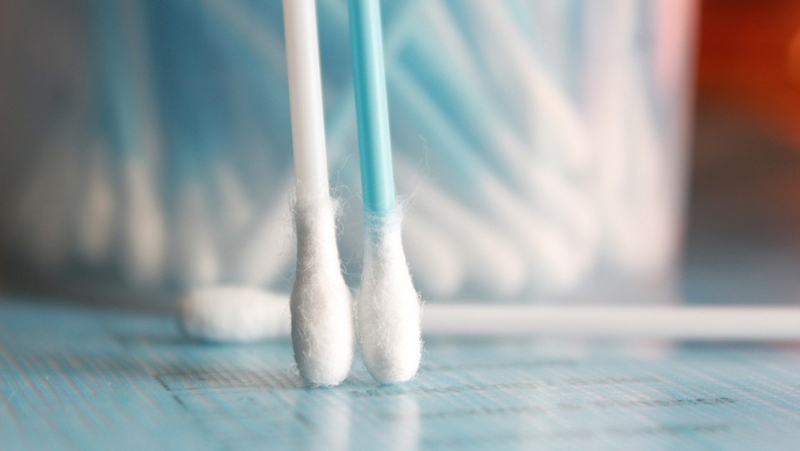 Despite this move towards a more environmentally friendly alternative, it’s still all too easy to buy plastic stemmed cotton buds without really considering their environmental impact. The charity The Cotton Bud Project suggest that while public outreach to educate members of the public not to flush cotton buds do have some success, eventually pollution levels usually return to previous levels, indicating that these schemes do not work long-term. They suggest that the only effective long-term solution is to ensure that the stems of cotton buds are made from a biodegradable material. Other countries are also considering banning plastic stemmed cotton buds, with France planning to ban them by 2020. More countries need to take enforceable action though, in tackling this problem. The UK government has also released details of their plan to remove all ‘avoidable’ plastic waste in the UK by 2042 however, critics have suggested that this pledge does not as yet have any legal force. This is one area of environmental protection where we really can all play our part – taking a small amount of time when shopping to check that any cotton buds we buy have biodegradable stems. That way hopefully future generations of both humans and marine animals can enjoy cleaner waters.